The Lunar New Year is approaching. Do you enjoy wearing the traditional Chinese dress during such festive period? Or does your custom require you to dress up in the traditional dress, aka the Qipao or the Cheongsam? It can be a relatively expensive investment to own a piece of Qipao or Cheongsam. Most of the time, the Cheongsams (or Qipaos) look and fit better when they fit your body shape nicely. This is why most Cheongsams are often tailor-made instead of being bought off the shelves. Additionally, a good quality Cheongsam is usually made from better quality fabric such as silk. Added to this, an exquisite piece of Qipao is usually adorned with delicate hand-sewn embroidery, not forgetting the sequins that come along with it. All these add the cost of owning a good piece of Qipao. 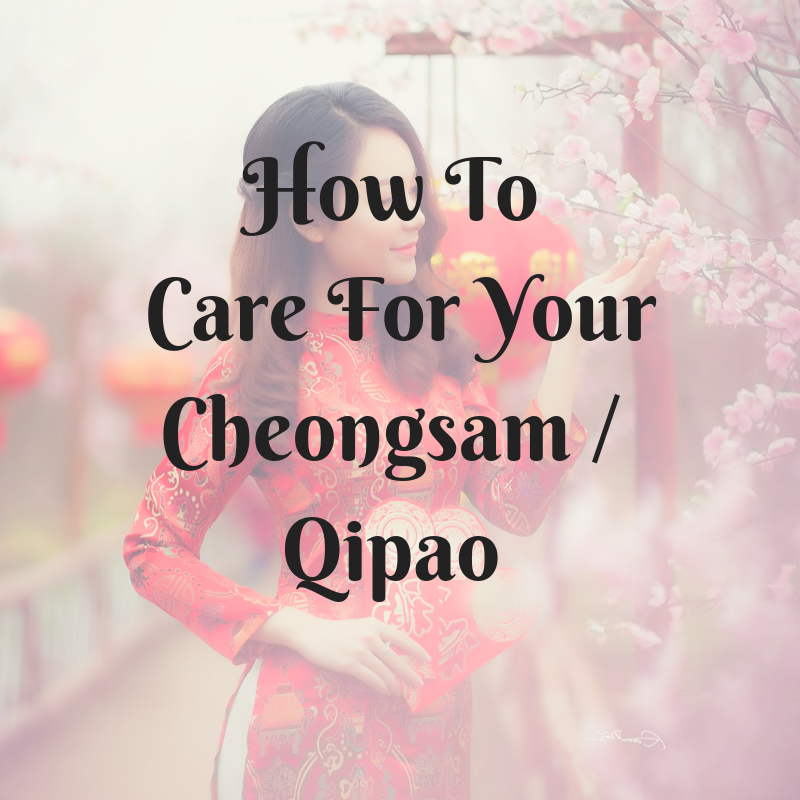 As such, it is important to take good care of your Cheongsam or Qipao, especially if you want to store them for a long time. You might wear them once in a lifetime, but it is still worth preserving the value and quality of the dress in its prime condition. You may never know if it might come back into fashion someday. The nature of the fabric, the embroidery work and the embellishments that go into the making of the Cheongsam do not allow room for roughness. Hence, it is definitely not recommended to machine wash your Cheongsams. They won’t be able to withstand the harsh tumble and spinning of the washing machine and dryer. You might even end up having the bright colour dull off or frays coming out from the threads that will shorten the life of the dress itself. The silky fabric of the Cheongsam is best handled through dry cleaning. At the most, the Cheongsam can be hand-washed and let drip dry if you want to wash them at the convenience of your own home. Even then, careful steps must be taken to ensure that the quality of the dress is maintained. Wringing the water off the dress will leave creases and damage the embellishments. Avoid hanging them under the sun as this will cause the colour to fade off and weaken the threads. When ironing the dress, do it with low heat to avoid risk of burning and damaging the fabric. In terms of stowing, it is better to hang them upright with a padded broad hanger. Folding the dress will often leave creases that are difficult to iron out. It is easy to take care of an exquisite dress that you love and desire to preserve with the right steps and care. If you are looking for a good dry cleaner, we are located at 354 Clementi Avenue 2 #01-177 Singapore 120354. We are open 24/7 to suit your convenience, especially with the busy period coming up right before the Chinese New Year. What is Dry Cleaning all about? What’s the Difference Between Laundry Cleaning and Dry Cleaning?